Universal indicator test. Universal indicator changes its colour depending on the pH of the solution. 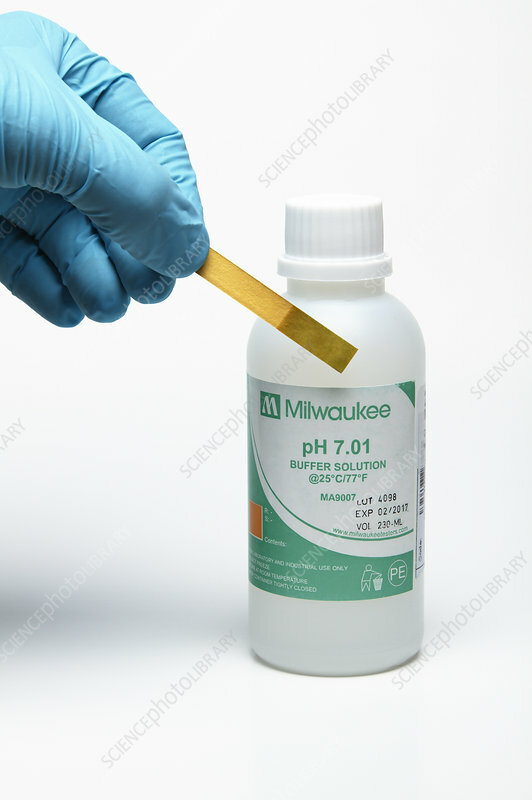 Here after an indicator strip was dipped in a buffer solution with pH=7.01, the strip colour changed to green indicating an neutral solution.